MICAMYX » Personal Blog of a Dagupena Dreamer » Archive » Tnomeralc Web Design Toys Challenge For The Win! Tnomeralc Web Design Toys Challenge For The Win! After two months of blogging, link building, forum posting, bookmarking and all, Claremont Designs finally declared our Tnomeralc Web Design Toys entry as the grand winner for the Tnomeralc Web Design Toys SEO Challenge! To be honest, I never really imagined myself joining any SEO contest similar to this. 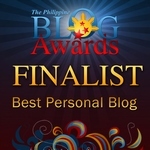 Yes, I did participate in some writing projects (emerging influential blogs, filipina, pinoy vlogging etc.) and blog contests, but never in a SEO contest. 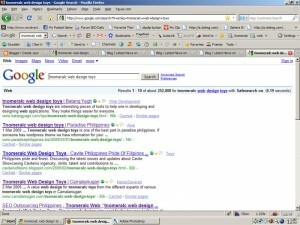 I first heard about Search Engine Optimization (SEO) from my Kuya Nyok named Jehzeel. He taught me some techniques and stuff, but due to my laziness and exclusive interest in Personal and Entertainment blogging, i never had the chance to practice nor do some more research about SEO. I was also a bit scared because I heard some stories from other SEO practitioners and it seems like they’re discouraging me. I dunno. On the other hand, my dear kuya nyok is a person full of positive energy and he did help me out (though i never understood some of the terms he was telling me). Last February, my nyok friend Winston informed me that he is reinventing his blog Nitropixel into a SEO Tutorial blog. Winston is a certified internet marketing specialist with clients from the US and Singapore, his favorite. 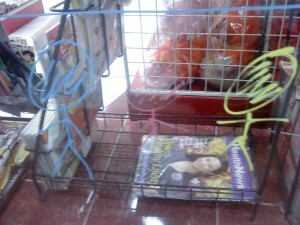 We have a number of projects together (Pinoy Fans Club etc) and some are still on the pending list. He gave some tips on optimization and i admit that 50% of the time, i’m not really paying attention at all. It was in February when I became really interested with SEO. Why? Ms. Janette Toral invited me to join her to Pangasinan, my hometown to give a talk on a Search Engine Optimization in Urdaneta City with Gary Viray, a kababayan who made us proud in the Busby SEO Challenge months ago. Mam Janette explained that Content is King in SEO. However, Sir Gary explained the importance of Link Building. Because of that, we can conclude that Good Content+Link Building = High Ranking in Google SERP’s. When I came back to Manila, I mentioned to Winston that I want to learn more about SEO. A day after, Mam Janette informed me about a new SEO contest called by Claremont Designs and LA Toy Store with the keyword Tnomeralc Web Design Toys. I immediately informed Winston about it and he showed interest. We worked on his entry first then later on we decided that we should make three more entries for selfish reasons LOL. During the first week, he placed first and i ranked second. On the succeeding weeks, he was on top and i was at the bottom. On the next days he was on the bottom and I’m on top. Then some of our entries were indexed. We panicked but our mentors told us that it is normal until we later on decided to just stick to one entry. It was last week wherein we decided to do more link building and bookmarking. Thanks to Jehzlau for helping us out with this one. We were surprised when we finally saw our entry jump from #7 to #2! The next day, we were on the top spot. By next week, I will be writing a blog entry about the lessons I learned from the Tnomeralc Web Design Toys Contest at Myx Technology, my technology blog. I am also thinking of launching a mini-SEO contest for my kababayans in Pangasinan. Hmmm..
14 Comments to Tnomeralc Web Design Toys Challenge For The Win! congrats mica 🙂 glad all your hardworks paid off. congrats sa inyong mga nyokers ! anung nangyari sa blog mu kanina micX? d me mka comment panay errors.. nyok2x… hahha..
at nag bunga din!!! ayun baka bibili ng bagong toy uli s winston… pabili din sana me..nyok2x.. 😛 hahahaha.. congrats to winston!!!! miss u teh mics! hope you get this..